Ripstop nylon reinforced with nylon webbing and polyester borders. Two mesh everyday bags, perhaps for glasses and a watch. 1. 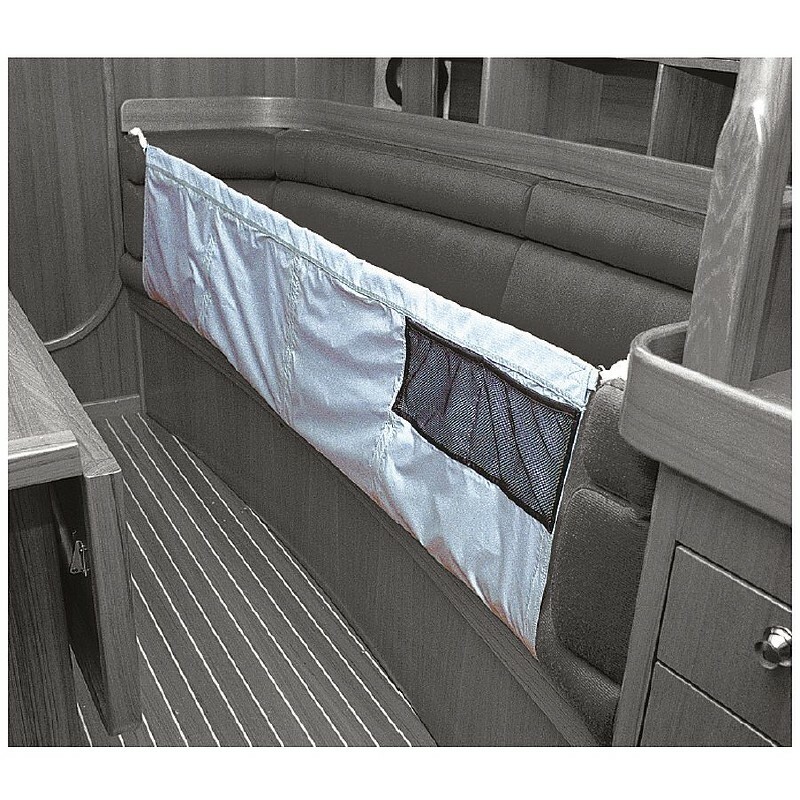 Bunk Net features five equally spaced straps hanging from the bottom edge. These tuck under the mattress and can be screwed down through the conveniently spaced drill holes. 2. 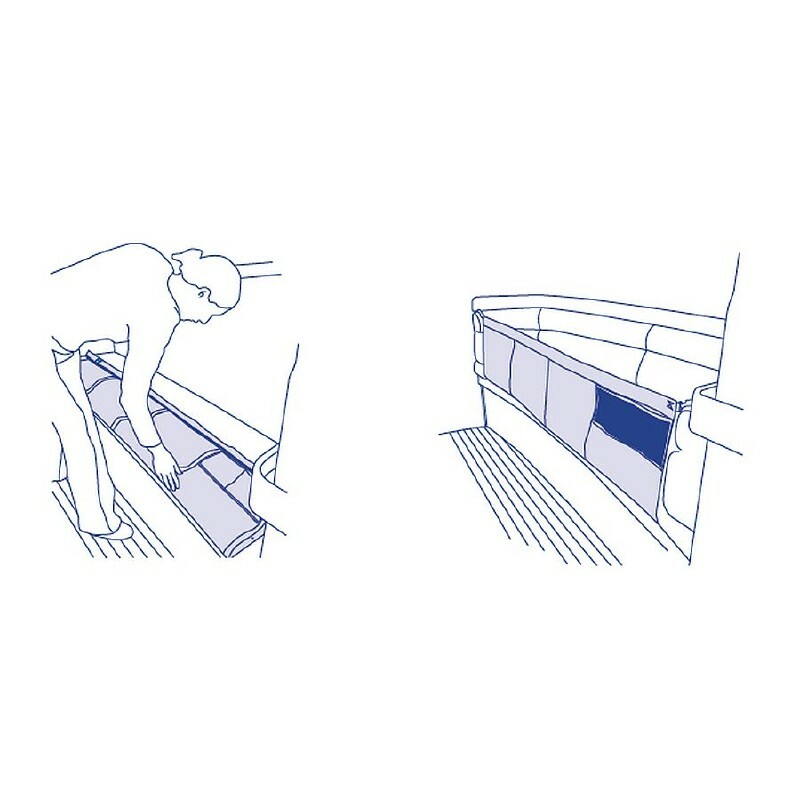 At night, tie the Bunk Net D-rings to the cabin sides and in the morning stow it under the mattress.